Standing on a ledge upon a rocky outcropping, the wind whipping against your skin, the forest a dizzying thousand feet below you, you exhale deeply. 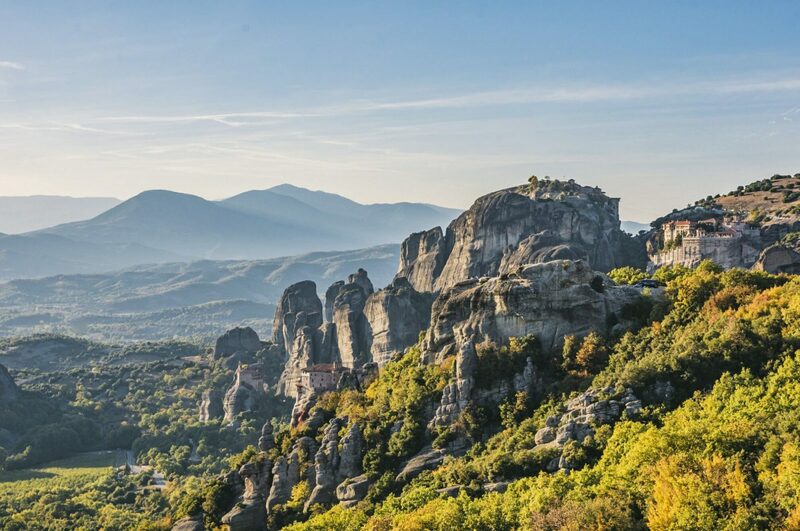 Here, upon the cliffs of Meteora, sits a display of nature at its most grand. And carved into the epic landscape is man’s own indelible imprint. Few other places so keenly illustrate the symbiotic dichotomy with such clarity and in such beauty. 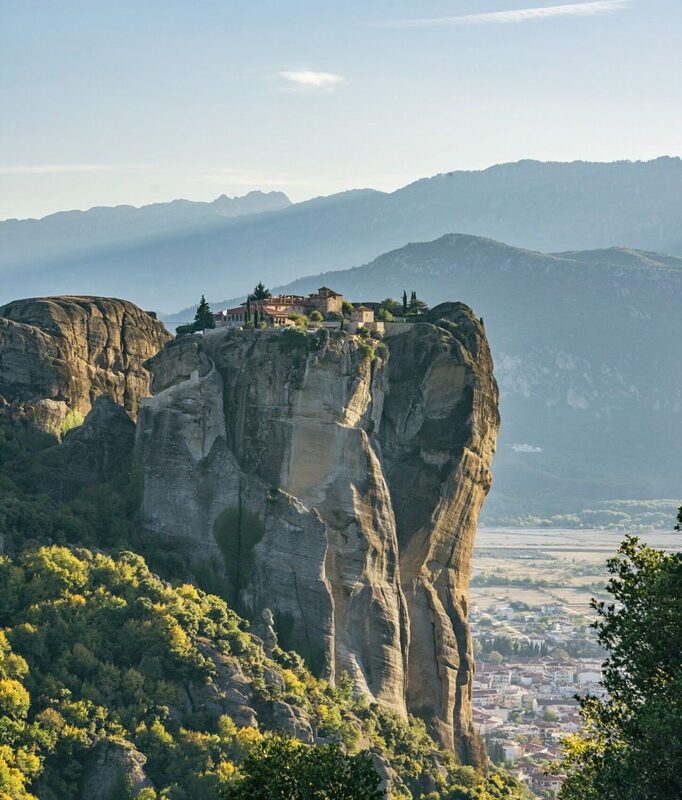 Meteora, from the Greek word meteoros means “suspended in air”, and from your vantage point the monastery perched on the pinnacle of a rocky monolith illustrates just how fitting that names is. As you stand looking out upon the landscape you can’t help but wonder at the first hermits to enter these mountains a thousand years ago, climbing these massive rocks using simple tools and bits of rope. Seemingly by force of sheer will alone they then made homes in hallowed caves, and built shrines to their God within. You wonder what it was like to be one man, alone, living in a wind swept cave within these rocky behemoths, greeting each sunrise and each sunset in solitude. 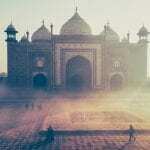 What would drive a person to such extremes, how profound did their faith have to be? 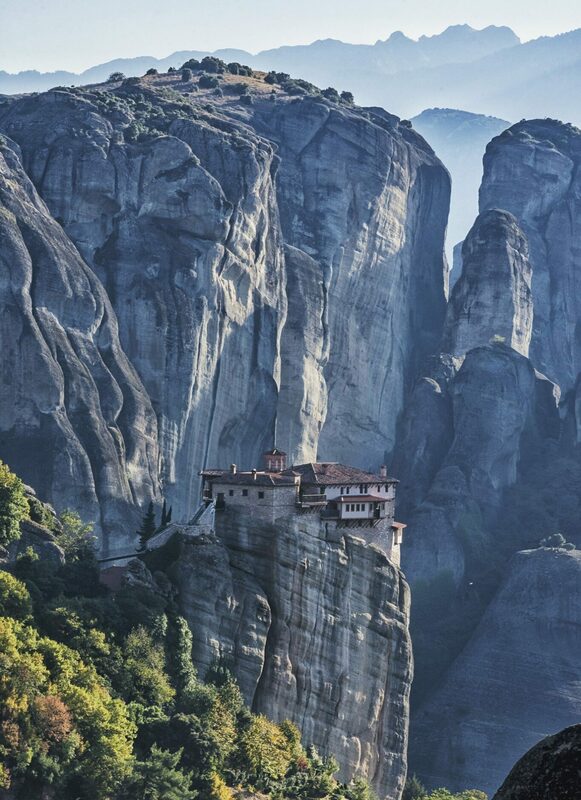 And the monks who came later to build their bastions on the pinions of the cliffs, hauling each and every stone that composed the monasteries of Meteora, how strong had their dedication been? It almost boggles the mind to think about. You sit and continue to look out into the spectacle before you. You wonder at the fact that millions of years ago this entire landscape was under water, at the bottom of the sea. You try to picture it but it seems beyond the scope of comprehension. 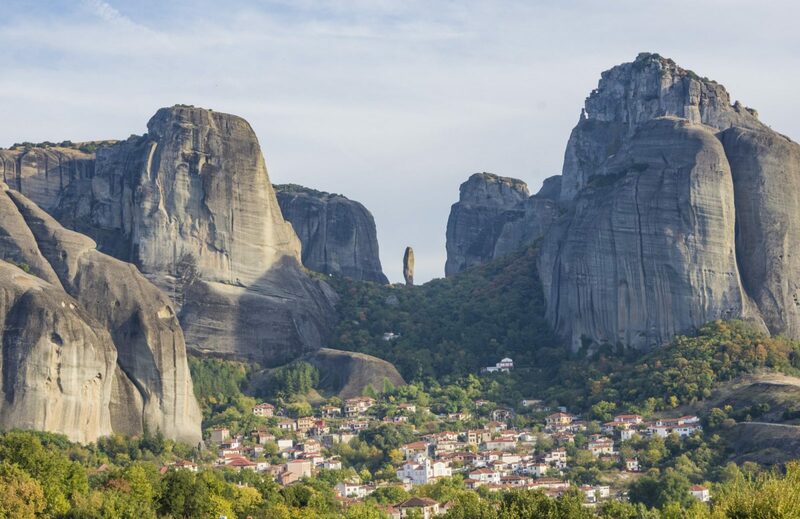 As the land rose out from under the water over the course of millions of years the bedrock fractured and separated, forming the broken cliffs of Meteora. Millions more years passed by and the wind sweeping up from the Plain of Thessaly below shaped and weathered the the cliffs into jagged pillars rising from the ground. It seems completely unreal, and yet it is there, right before you. If you were a bird and had wings you could tip forward and plunge from your rocky ledge, down the pillars of stone, and into the valley below. If only I were a bird, you think for the thousandth time. You keep standing as the breezy rays of a slowly setting sun cast their golden glow across the valley, onto the stones and formations that house centuries of dedication and toil. You stand and watch as the golden blanket of sun envelops everything in sight. You stand, silent and rather awestruck, until the sun sinks behind the distant peaks. You stand, almost overwhelmed, and you count your blessings for having the good fortune to visit Meteora. So, if you couldn’t tell from our gushing above, we LOVED Meteora. It truly is one of the most special places we have visited. Like most special places, the secret about this fantastic landscape is out, and millions of people flock to Meteora annually these days. So how do you avoid being lost in a bustle of tourism, and how do you ensure you get to have the best views in relative peace? Most of the three million visitors in 2016 were day trippers taking a brief bus tour, and most visited between the months of May and October. 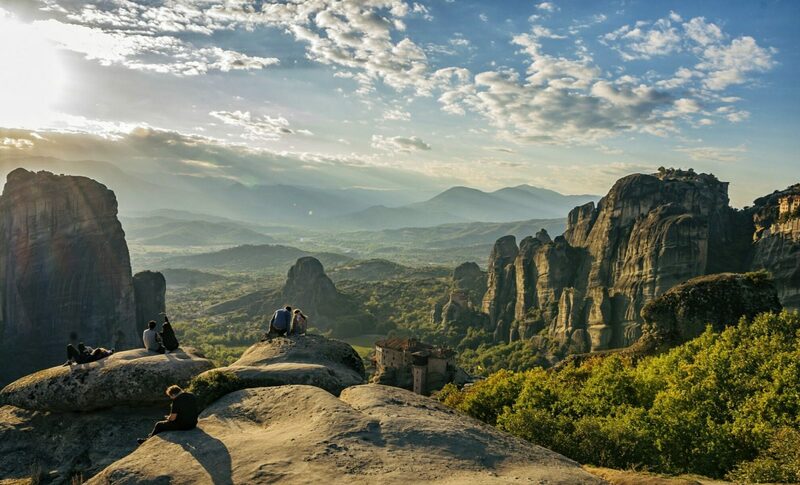 Personally, we recommend visiting Meteora for at least two days, and potentially longer if you have the time for it. Sure, you can hop on a tour bus and get driven to a few view points where you take some selfies before hopping back on the bus to leave but that would be a wasted opportunity. Meteora deserves to be savored slowly. 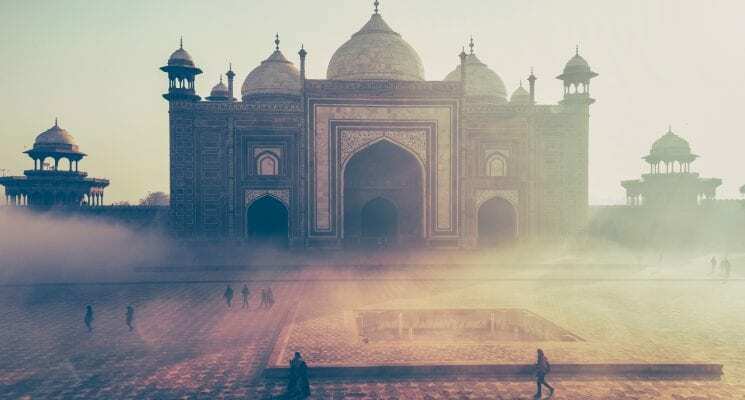 The best time to visit would be outside of high season, when the crowds are greatly diminished and the sun isn’t trying to bake you into the stones. We spent a week in the area in mid October and found it to be a perfect blend of convenience and peace. 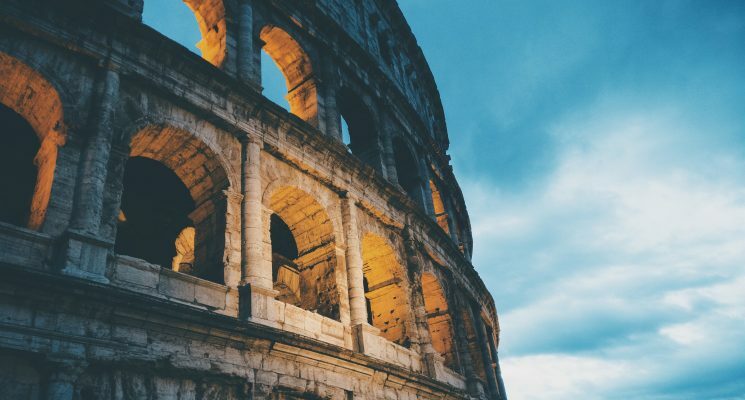 However, the winter off season months are also a good time to go if you would like to avoid bus loads of tourists and would like to save some money on accommodations. 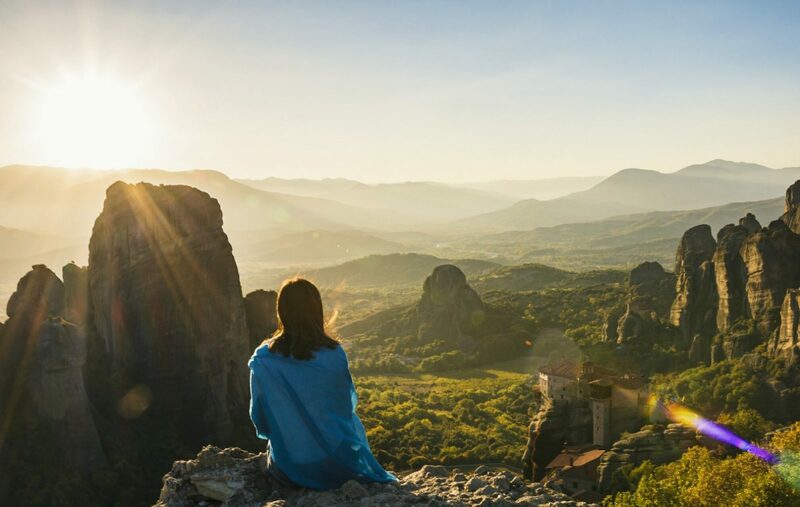 Not everything is open in the small towns of Kalabaka and Kastraki (which sit nestled in the valley below the cliffs of Meteora) during the winter, but you will be able to make due just fine. And you might even see the rather rare sight of Meteora covered in snow. We are told it happens every few years. If you don’t get lucky enough for snow you will still be able to see Meteora covered in early morning fog, which is also a brilliant sight. 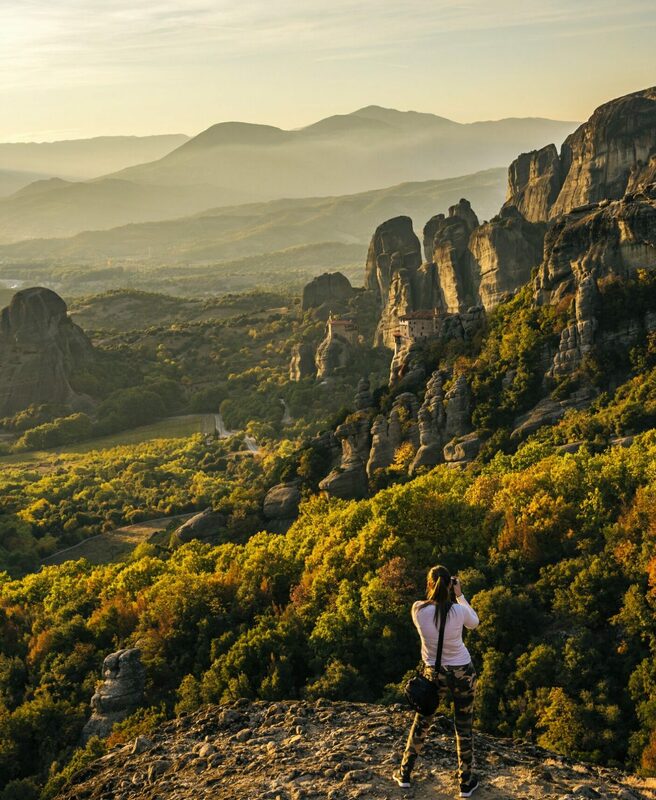 Should you take an organized tour when you visit Meteora? Anyone who follows us on on social media or reads the site frequently knows that we aren’t huge tour people. 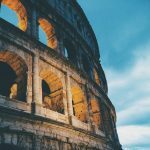 Normally we prefer to explore a new place on our own, but there are certain destinations where a tour can be extremely beneficial. 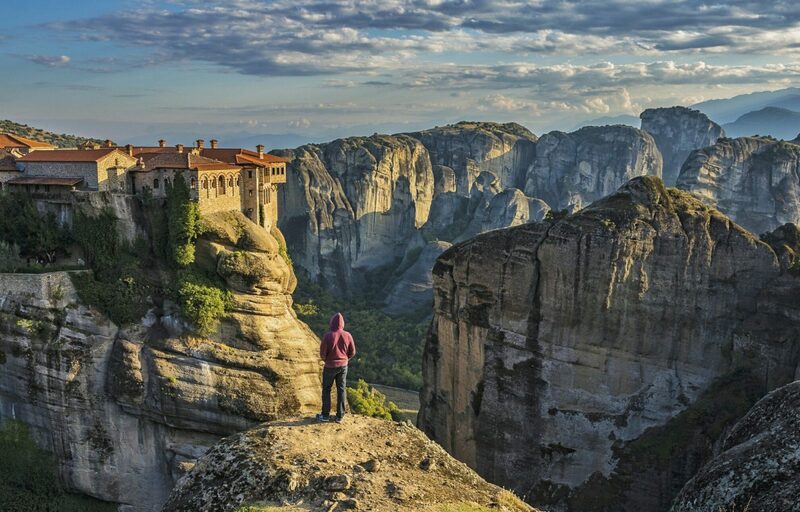 Meteora is one such place. The best way to go about your visit, in our humble opinion, is to take a tour soon after arriving to Kalabaka. 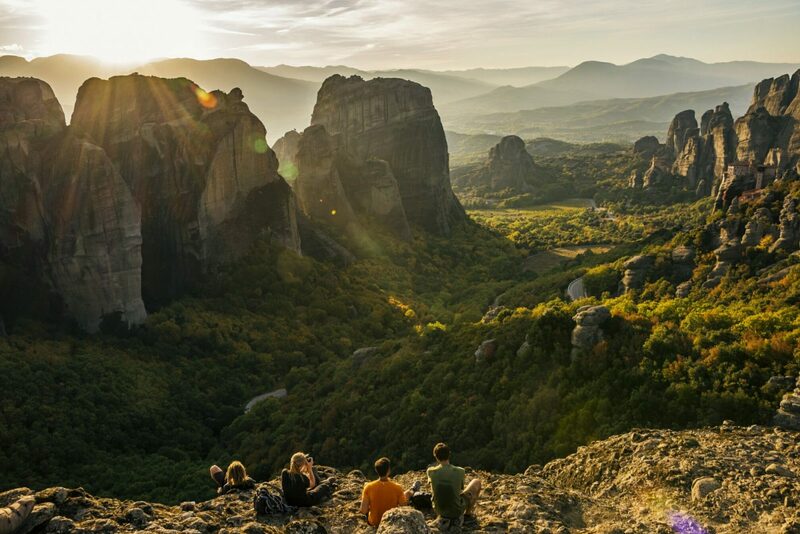 Afterwards, once you understand the history and the lay of the land, we HIGHLY recommend taking one or two hikes up and down the cliffs to get a better understanding of how truly unique Meteora is. Who should you book your tour with? Glad you asked. 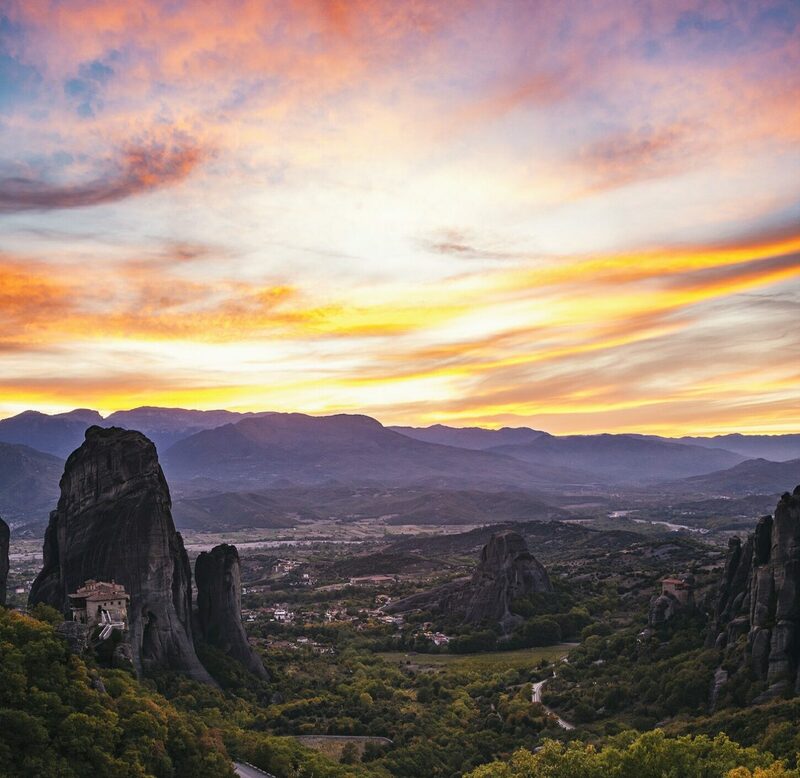 We were lucky enough to receive two tours from the wonderful folks at Visit Meteora and we found them to be informative, engaging, and extremely well run. Both the Sunset tour and hiking tour exposed us to things we probably would not have found on our own, and gave us a perfect starting point to explore on our own for the remainder of our time in Kalabaka. If you are planning a travel to Meteora from Athens the least expensive method of transportation is train. Tickets cost about €14.00 each way. There is one direct train from Athens’ main train station (Larissa Station) to Kalabaka (or Kalambaka, or Kalampaka, depending on who you ask), and multiple trains that require a stop over and change. The train ride is smooth, if a bit slow, but due to aging infrastructure they don’t always run on time. Please be aware that at any point you might have to add an additional hour or more to your trip due to delays, so plan accordingly. You can use this helpful train schedule to plan your trip. Being the small towns that they are dining options are rather limited in Kalabaka and Kastraki. International cuisine is virtually nonexistent so you are going to find yourself eating a lot of Greek food during your time in Meteora. On the plus side Greek food is really really good, so the lack of options is just fine. 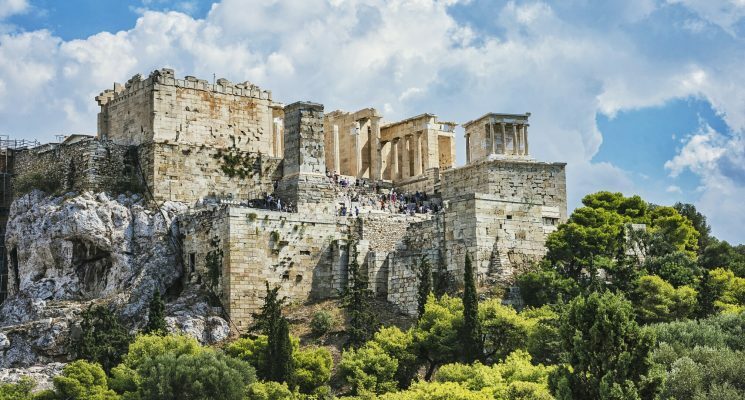 However, vegans and people with certain dietary restrictions will be hard-pressed to find ANYTHING other than a Greek salad to order, so if you are a vegan visiting Meteora make sure to bring some supplemental food along with you. For those with no dietary restrictions there are two great restaurants in Kalabaka that you should absolutely try. As the name implies this restaurant is located in the heart of Kalabaka and is owned and operated by the Gertsou family since 1925. The tradition of delicious slow cooked food has been passed down and refined for four generations, resulting in savory mouthwatering dishes. 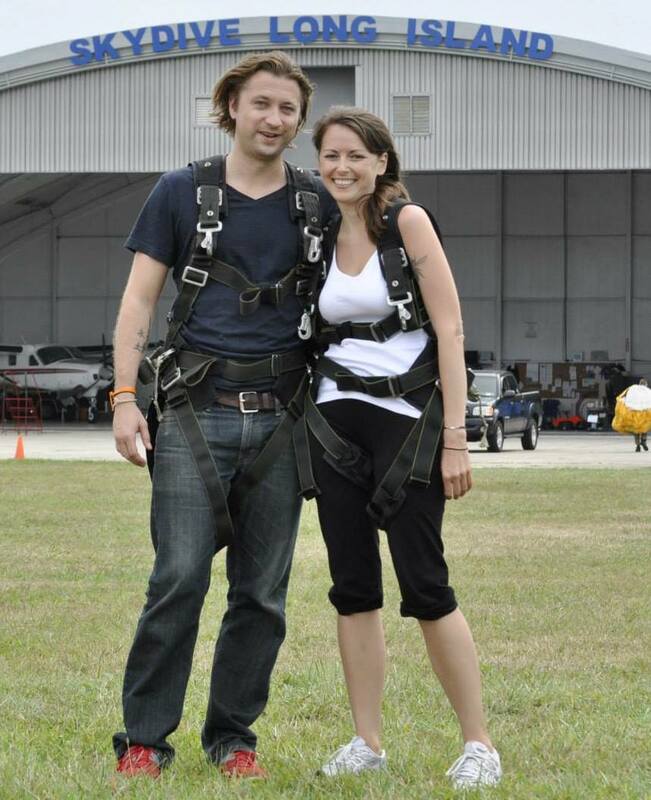 The staff here is extremely friendly, the food is very good, and the prices are reasonable. We highly recommend dropping by and trying the buffet style lunch menu (shown in the video below). Please note, however, that Meteora Restaurant is closed from late October to early March, so if you are visiting in low season you will have to look elsewhere for yummy Greek food. Delicious food, great view, pleasant staff, and nightly live entertainment are the main things that make Meteora Panorama Restaurant a great place to have dinner. We pretty much guarantee that you wont be disappointed. If you are looking for budget food in Kalabaka you will have to either make use of the grocery store or eat a lot of fast food Souvlaki. As we said, there aren’t many options to be found. Kalabaka has a wide array of hotels and guest houses for visitors to stay in. Here are a couple of the best hotels in Kalabaka to choose from. Alsos House is a family owned and managed guest house located right beneath the massive sandstone cliffs of Meteora. Offering amazing morning views and a friendly comfortable atmosphere Alsos House is pretty much like a home away from home. 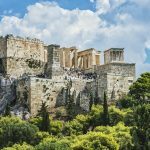 We stayed at Alsos House for a couple of nights and found it to be a relaxing and comfortable hotel. For more info, current prices, or independent reviews click here. Hotel Galaxy is located right near the center of town, and is a good place to find comfortable budget accommodation options. We stayed there for a few days and found it to be a perfectly fine budget option. The free hot/cold breakfast buffet was also a nice treat. Well, that about does it folks. Bottom line? 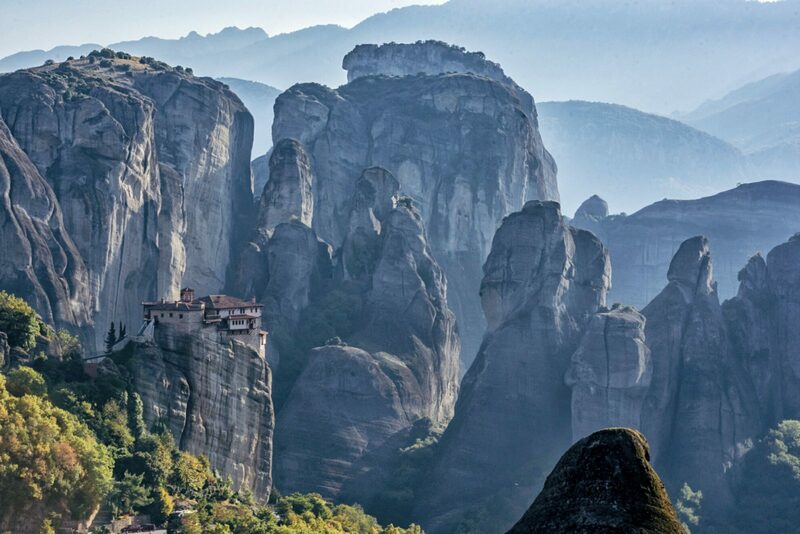 GO VISIT METEORA! It’s freaking epic. As always, travel well, travel safe, and we’ll see YOU on the road!